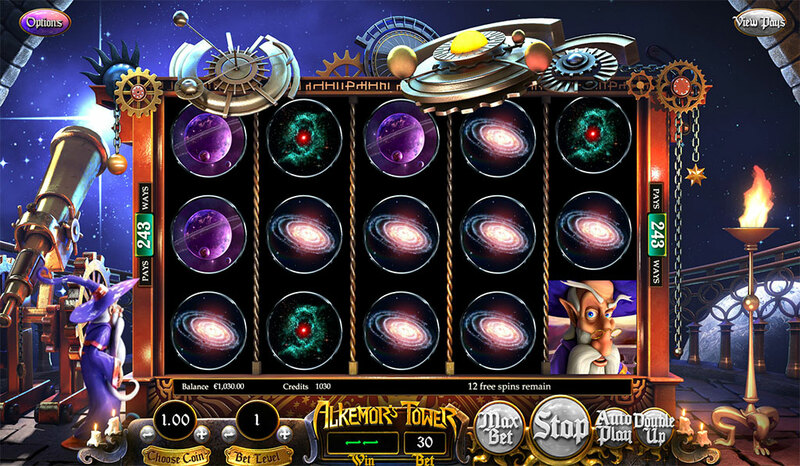 Encounter a world filled with arcane magic and amazing riches as you enter Alkemor's Tower. 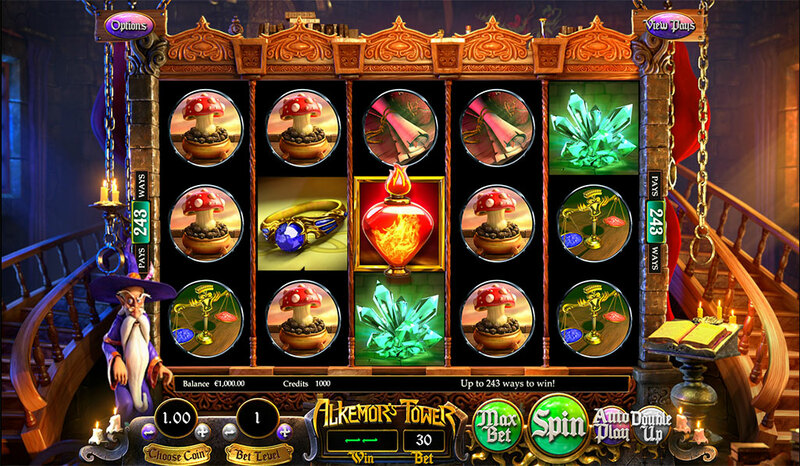 Accompanied by the wizard himself, seek out the Astrology and Nature rooms, cast magical spells featuring the four classic elements of Earth, Wind, Fire and Water and win big in this fun filled 3D video slot. 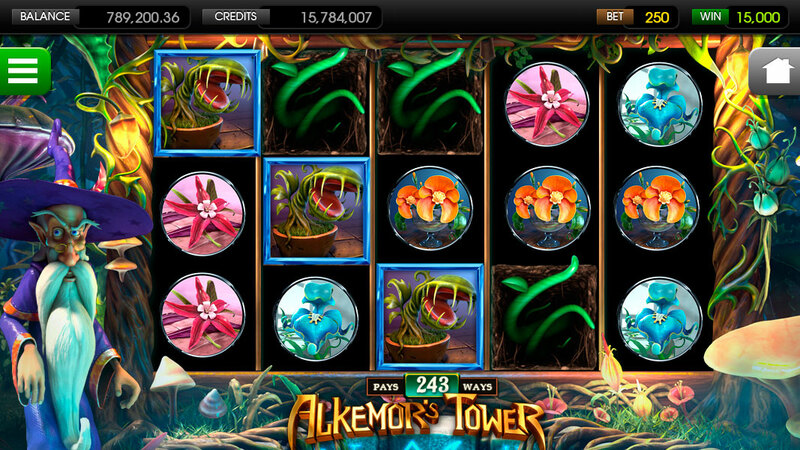 Alkemor's Tower keeps the wins coming with its "Any Way Pays" feature. 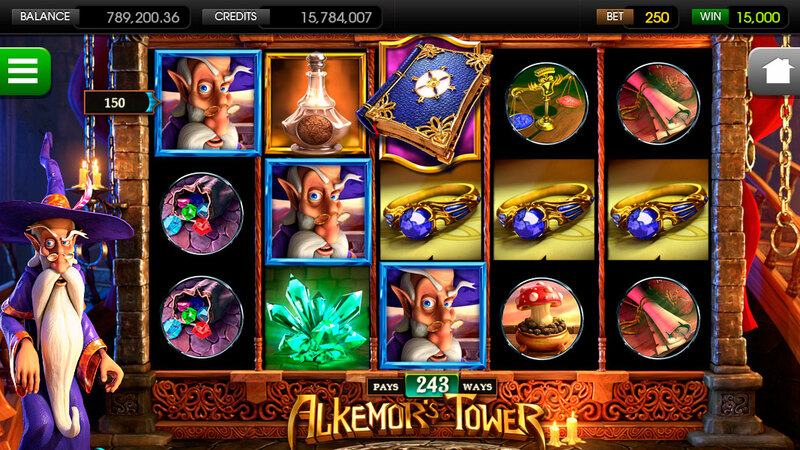 Bringing you 243 great ways to win as you unearth the four spell books, each one magically changing the reels to uncover fantastic winning combinations. 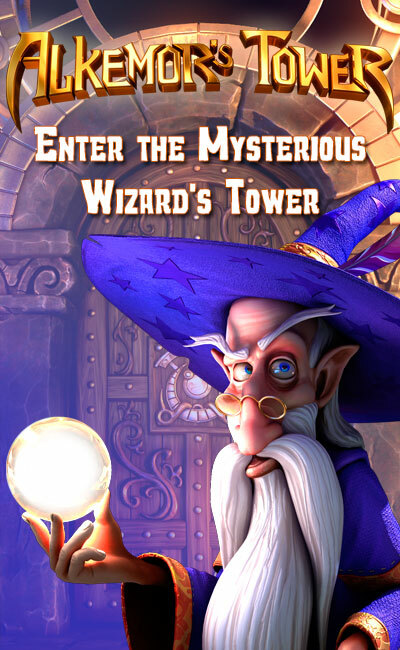 With a Celestial Floor Free Spin special feature that will teleport up to his Arcane Observatory where the wizard observes the heavens. 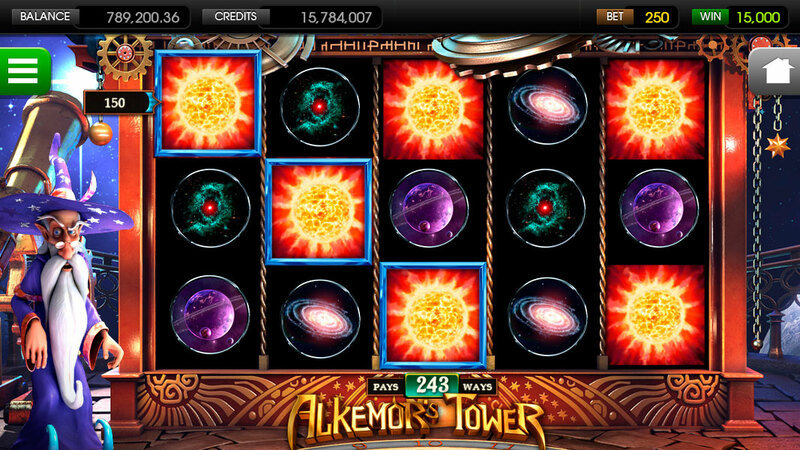 During this free spins mode unique pay table symbols are used including the Black Hole symbol which rewards you for each neighboring symbol devoured. 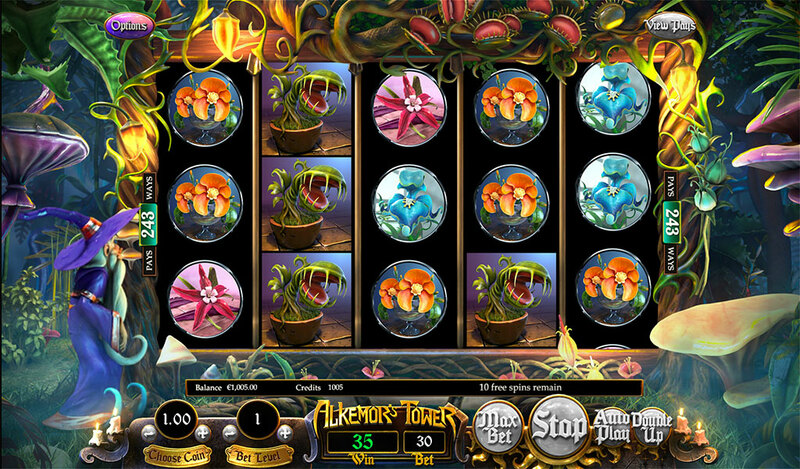 With a heads or tails double up mini game, Alkemor's Tower is filled with magical 3D video slot action.